The Japan Foundation, New York, the University of Tennessee at Chattanooga and the University of Alabama present Obento: Japanese Culture in a Box – Learn to make a Japanese lunch box -, a presentation and a hands-on workshop on obento, a Japanese term for ‘lunch’ or ‘lunchbox.’ This event is conducted by The Boston Globe food writer and cookbook author Debra Samuels, a long-time resident of Japan. Participants will have an opportunity to learn the cultural background of Obento as Samuels illustrate common differences in value, presentation, and nutritional balance between typical American and Japanese lunches. Under Samuels’ guidance, everyone will have the opportunity to make their own obento. The obento or bento phenomenon has caught on in the US because of the appeal of its balance of nutrition and beauty. 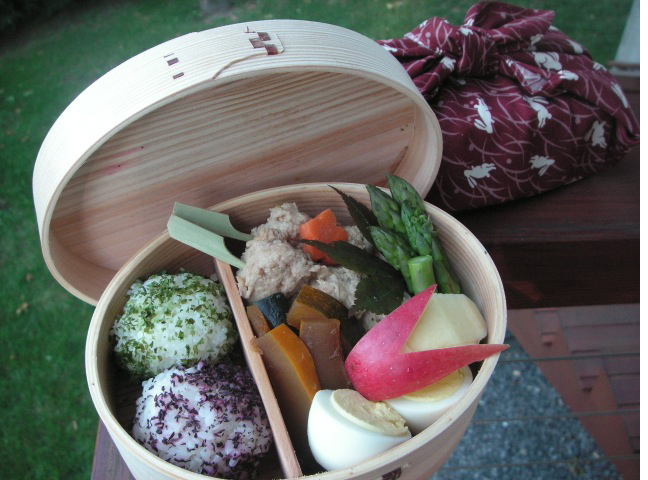 There are dozens of blogs on bento geared toward adults and children. Three out of the top ten best-selling Japanese cookbooks on Amazon are on bento. The new school year also prompts many articles in newspapers and magazines that refer to making these colorful meals in a box when looking for healthy alternatives to excite the palate and the eye. Manga and anime have spread Japanese popular culture bringing a familiarity with Japanese food culture to a very broad audience. Samuels has lived in Japan for over a decade and offers her extensive knowledge and experiences with Japanese food traditions. The event is free, but participants are required to make a $10 refundable deposit prior to the event to secure your reservation. The deposit will be refunded upon completion of the workshop. Please note that the program at Tuscaloosa venue is mainly open to students at University of Alabama and its communities. If you are not a student at University of Alabama and would like to attend, please contact Ms. Yumi Miyatake. Debra Samuels, cookbook author, food and travel writer and cooking teacher, has been working with children, families, and food in a variety of settings for over twenty-five years. Since 2000 she has been a food stylist and regular contributor to The Boston Globe. She is the author of My Japanese Table: A Lifetime of Cooking with Friends and Family (Tuttle Publishing). This program is co-organized with The Japan Foundation, New York, the Asia Program, College of Health, Education & Professional Studies at the University of Tennessee at Chattanooga and Critical Languages Center, Department of Modern Languages and Classics at the University of Alabama.